EcoSattva Training with Bikhu Bodhi – Engage! Registration is now open. First session on October 16. 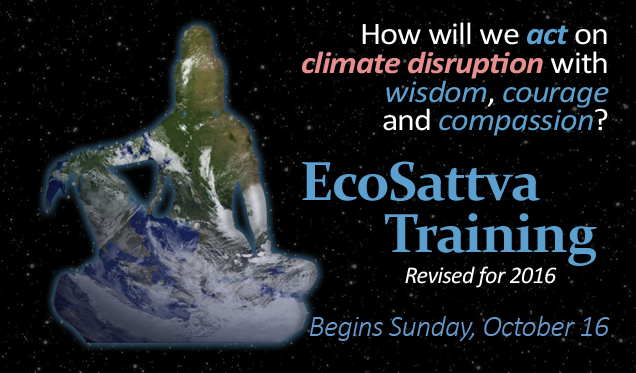 We are reaching out today to give you a few updates on this fall’s EcoSattva Training. Whether you participated last year or this is your first time, we hope you’ll join us. We’re honored and delighted to report that Venerable Bhikkhu Bodhi will be featured in the LIVE opening session on October 16. Together is better. Gather friends from your community or join and online group. Learn more about registering for a group below. 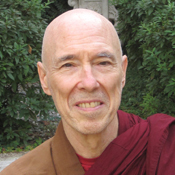 We’re honored and delighted that Venerable Bhikkhu Bodhi has agreed to join us Sunday October 16 in the opening live session of this fall’s EcoSattva Training. Bhikkhu Bodhi brings a deep and truly fierce understanding of the Dharma and it’s applications to social and environmental issues. This will be an excellent chance to hear from a leading voice in engaged Buddhism. The rest of the training is self-paced and features a number of luminous and radical teachers including Joanna Macy, rev angel Kyodo williams and Thanssara. We’ll all gather back together online on Sunday, December 11 to share experiences, questions and insights (not to worry, no tests will be administered). We hope you can be there for what promises to be a great conversation with Bhikkhu Bodhi on Sunday, October 16 12:30 pm US Eastern Time. And sure, if you and your group can’t make it we’ll post the video soon after. It’s better together! Gather your people to experience the full series together and each person can pay the lower group rate. You can also join an online group. If you don’t know anyone locally, register with the group name “Online” and we’ll help you find one another. In this case, you can still use the group registration rate. Register here and join us for the opening on October 16. Copyright © 2016 One Earth Sangha, All rights reserved. One Earth Sangha aspires to build an online community of mindfulness and Buddhist practitioners responding to climate change with wisdom and compassion. You are receiving this email as a subscriber to our newsletter. Let us know if you have questions. Thank you for your practice!